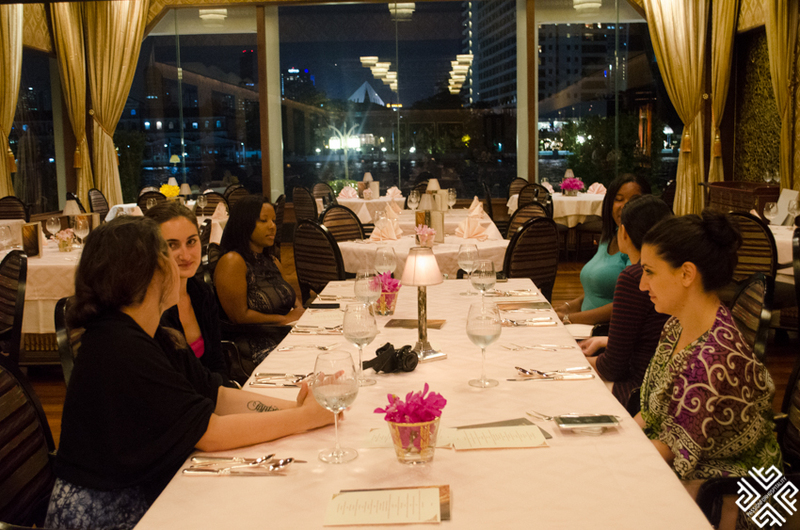 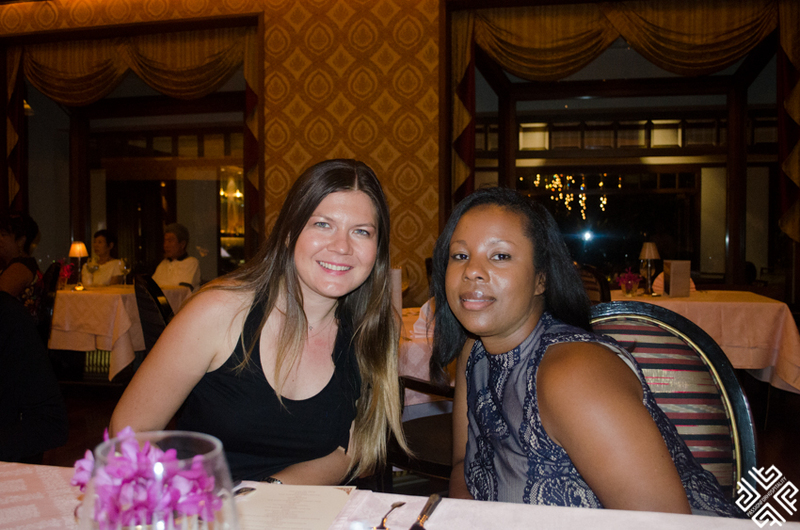 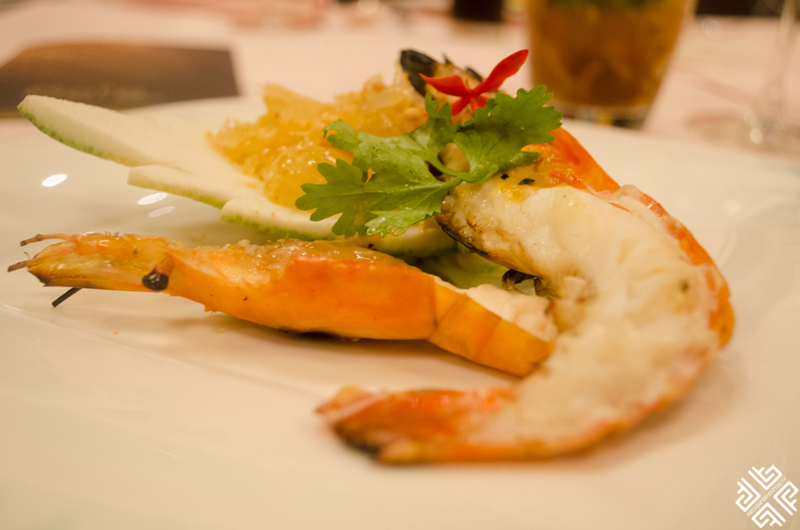 One of the unique cultural experiences which I had during my trip to Thailand was dinner at the Sala Rim Naam Mandarin Oriental Bangkok. 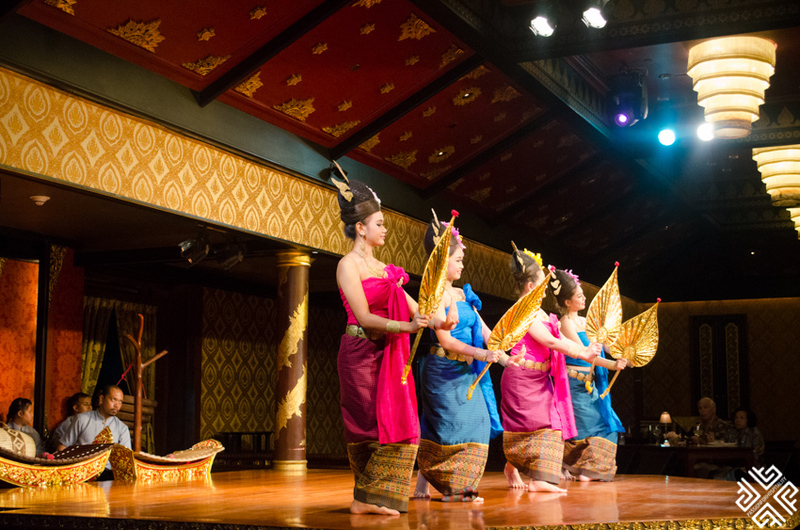 Sala Rim Naam restaurant is located across the river from the Mandarin Oriental Hotel and it is housed in a richly decorated pavilion that reminds of a traditional Northern Thai style house. 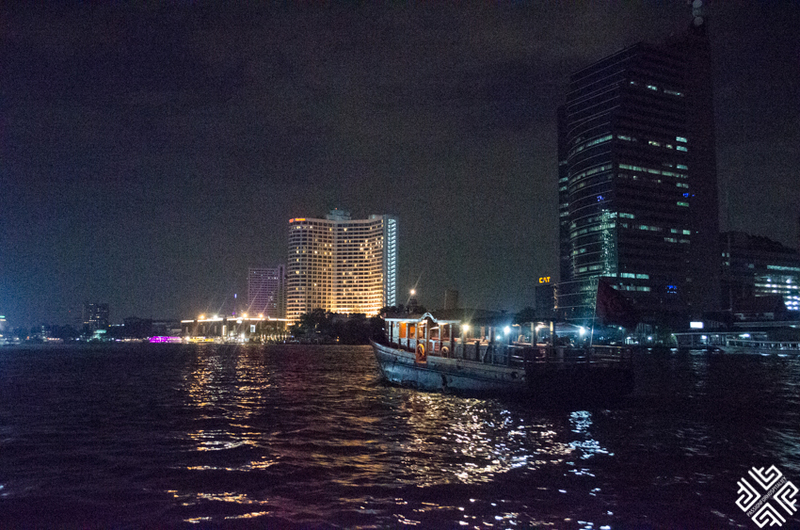 A small boat took us across the river to the restaurant where myself and 5 other travel bloggers where invited to experience an authentic Thai dinner menu and dance show. 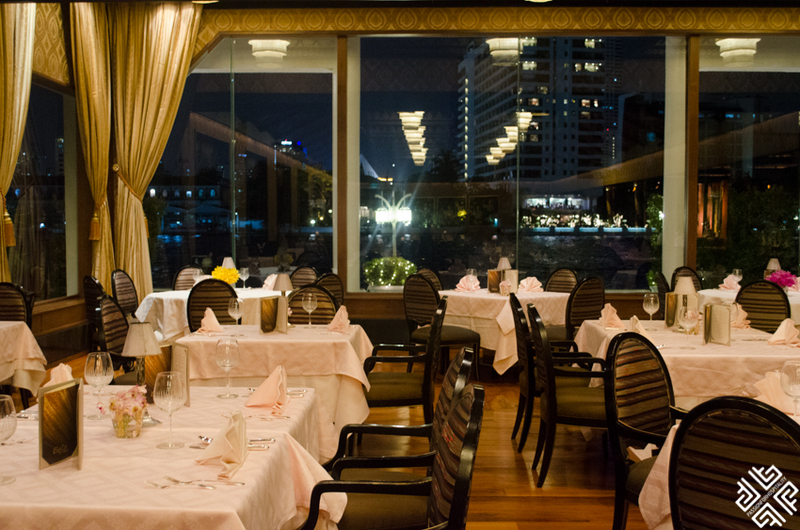 The restaurant’s atmosphere is very welcoming, with high ceilings and teak wood furnishing. 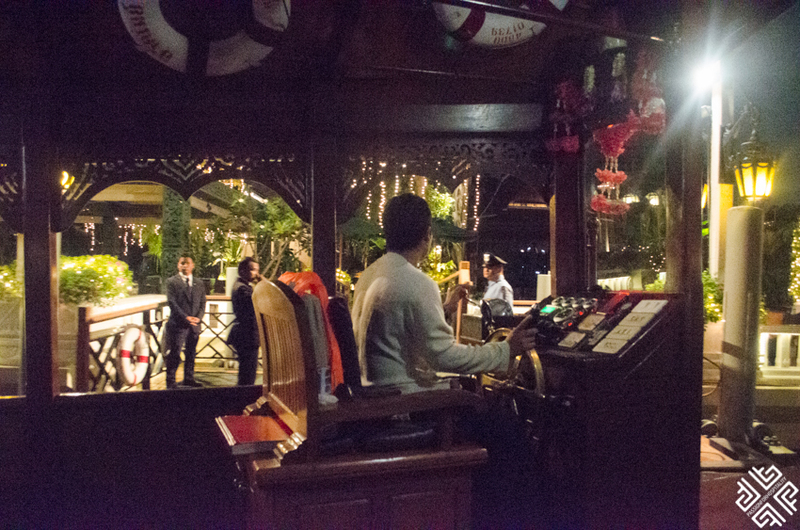 Our table was quite close to the stage so we had a great view of the performance. 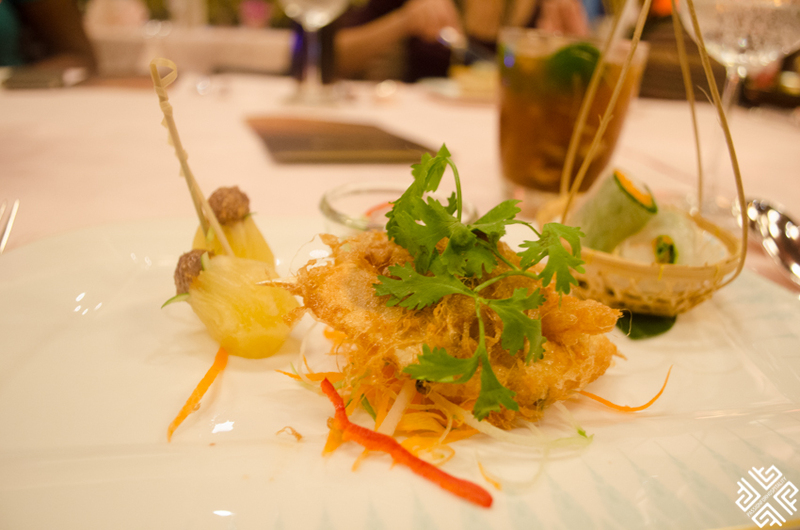 Fresh pineapple morsel topped with minced chicken and peanuts (MA HOR). 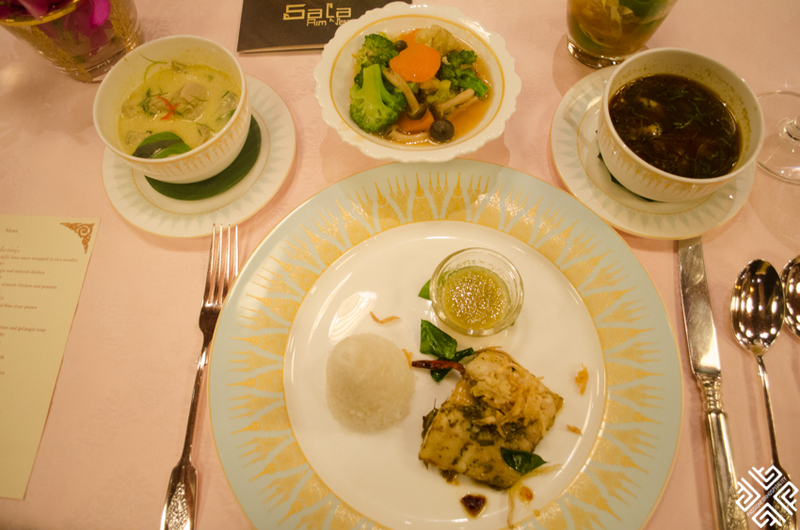 The main course (s) then came all at once. 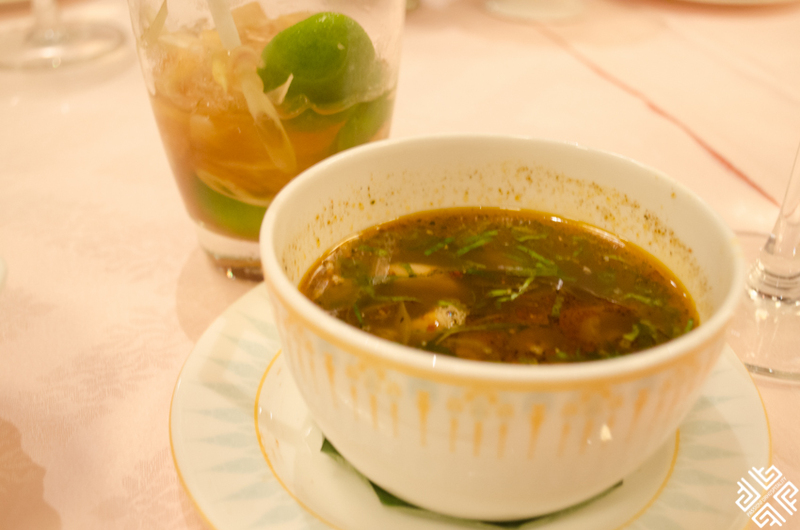 TOM JIN GAI which is herbed chicken northern style with lemongrass and galangal. 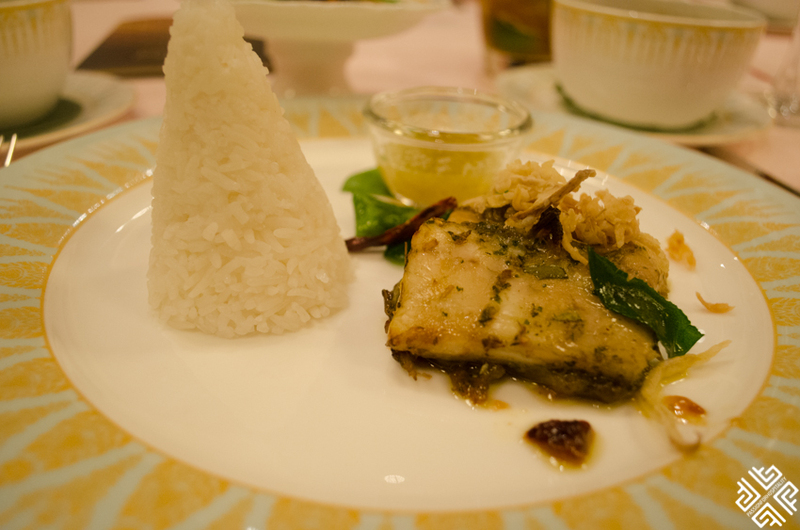 PHAD PHAG Stir-fried vegetables with oyster sauce and KHOW HOM MALI Steamed fragrant jasmine rice. 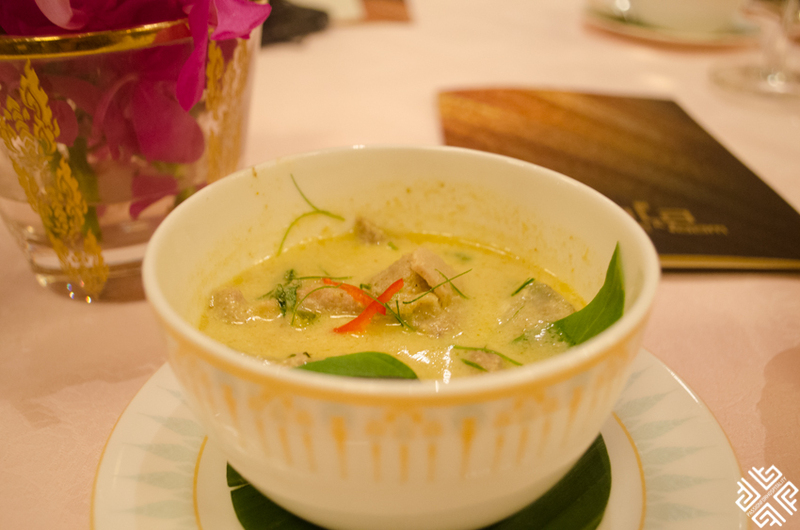 For desert we had the famous TUB TIM SIAM which are water chestnut rubies in chilled coconut milk. 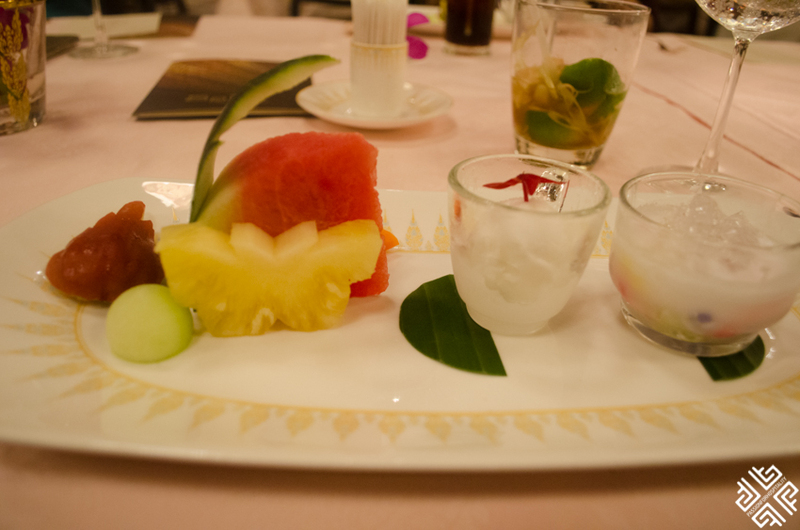 We also had Rambutan sorbet and assorted tropical carved fresh fruits. 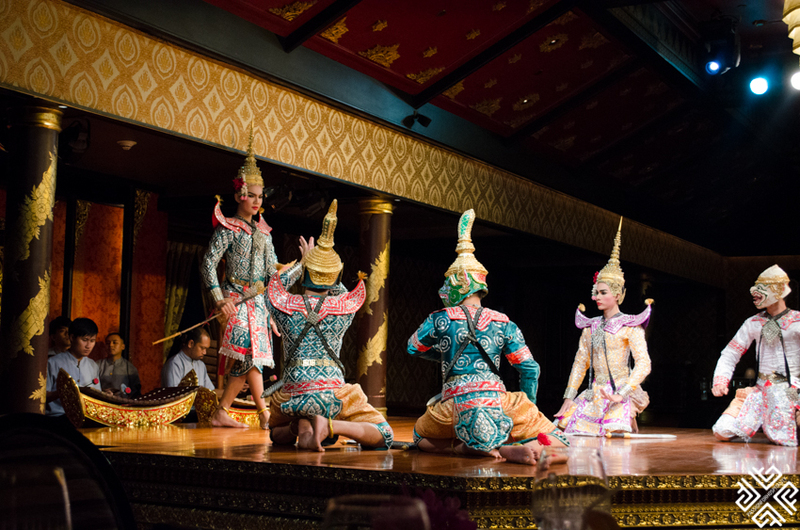 Throughout the dinner we enjoyed the traditional Thai drama known as The Khon.Traditionally the roles were played merely by men who were wearing masks and narrators told the Ramakian story on which the Khon is based. 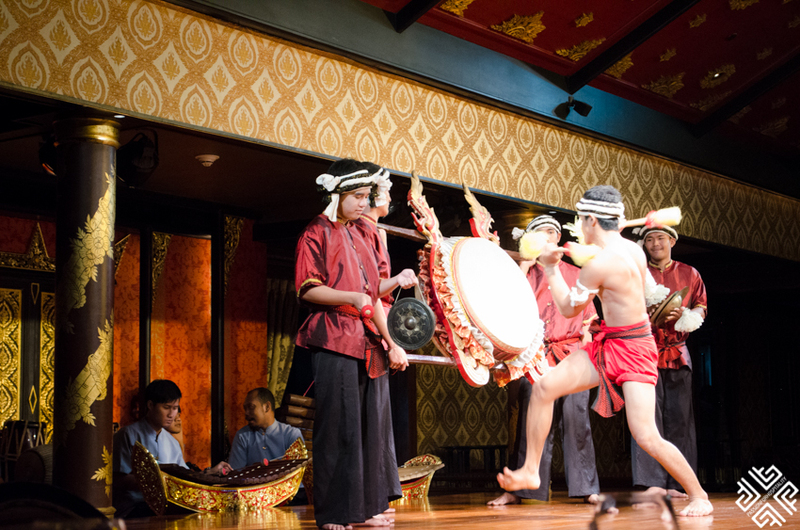 The Ramakian is a story about Rama who fights against a demon who has adducted his wife. 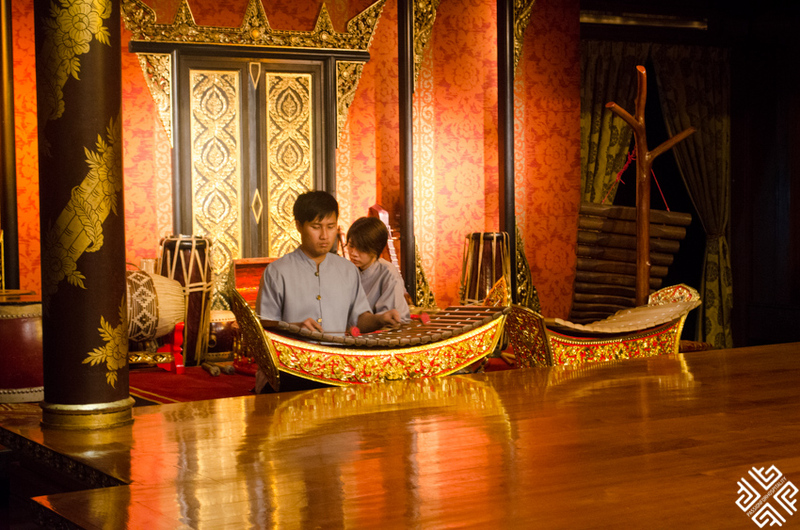 This drama is always accompanied by musicians who play live Thai instruments. 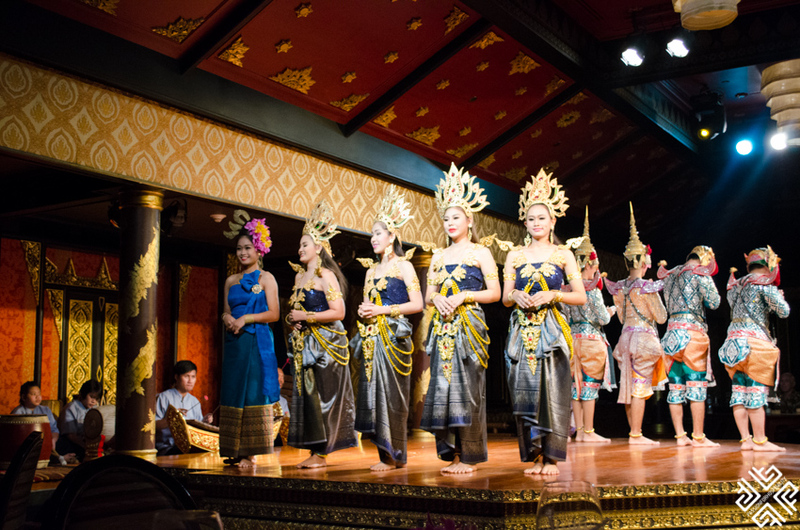 In modern Khon performances there are also female characters. 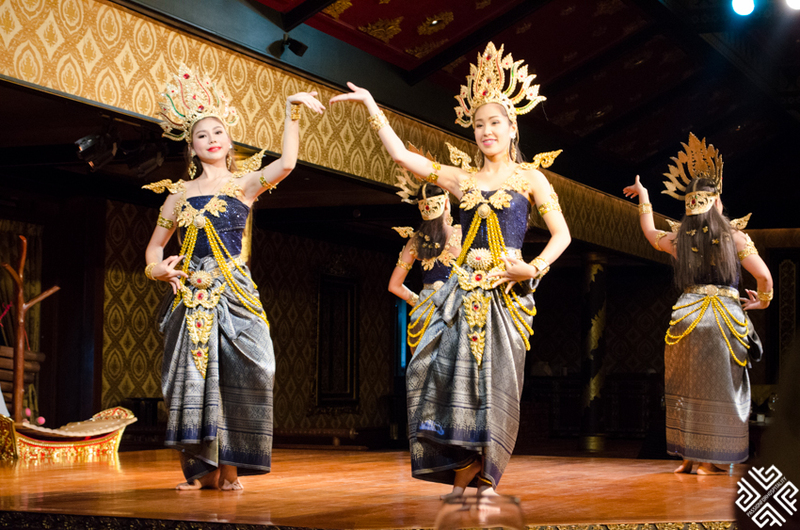 I definitely recommend an evening at the Sala Rim Naam Mandarin Oriental Bangkok for those who are looking to combine an authentic Thai traditional experience in a warm and luxury environment. 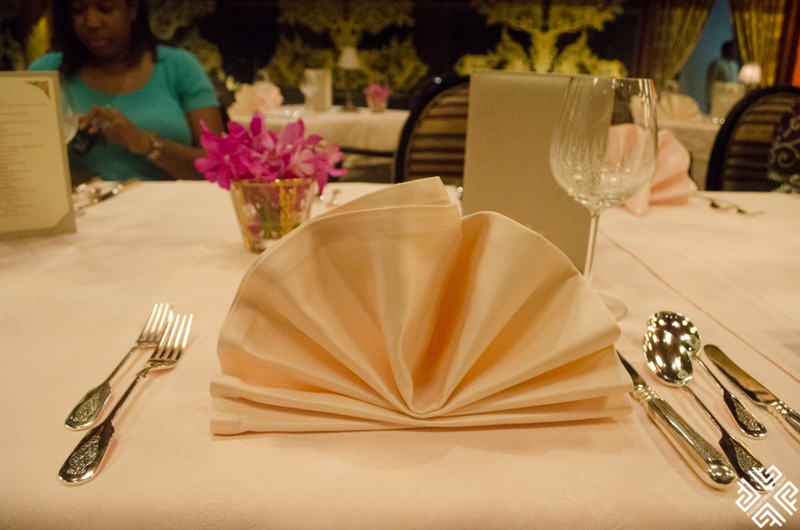 The show was very vibrant and the cuisine and service was excellent.